Pinkadots Elementary : Tried it Tuesday: My first FOLDABLE & FREEBIE! 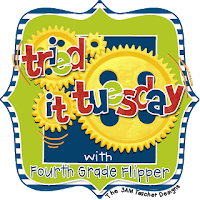 Tried it Tuesday: My first FOLDABLE & FREEBIE! If you've been keeping up with my blog, you know we are studying how literature can teach us what we have in common with one another. We are focusing on homes, families, and traditions. Another one of my BBBs, Jivey, recommended an amazing book Knots on a Counting Rope. Being only the first week of school with my little ones, I found the book very deep and great for inferencing. Many of my students have no background knowledge on Native Americans so some things went right over their heads. I was happy I read it slowly because it started a ton of great conversations with talking partners. When it came time to stop and infer I had a lot of hands go up. Some of the ideas were totally crazy, but others made sense. The part that really surprised me was that the kids didn't get that the little boy in the story was born blind. We used our inferring skills at that point and it finally made sense. Now that I just gave away most of the book to you, I won't spoil it anymore. We actually made inferences throughout the whole book and used the Note & Notice strategy "Again and Again" I was very proud of my class for working so hard today. I will end this with a direct quote from one of my students, "I love that you are letting us color and cut out for reading and writing! It makes me love reading MORE!" That leaves me :) !! Congrats on your first foldable - it looks great. We have not done that book yet this year so I may just have to steal your idea - thanks! Thanks for the shout out! I'm so glad it worked out for your kiddos! Thanks for sharing the foldable. I'm looking forward to using it when we cover inferring. Thank you so much for the foldable. I can't wait to try this with my class. I just commented on AMC's blog that I really need to jump in on the interactive notebooks action...very soon! Today was the first day I read Knots as well. I was so surprised by how intricate it was. The whole deal with the boy's issue. Whoa! My kids totally ate it up. 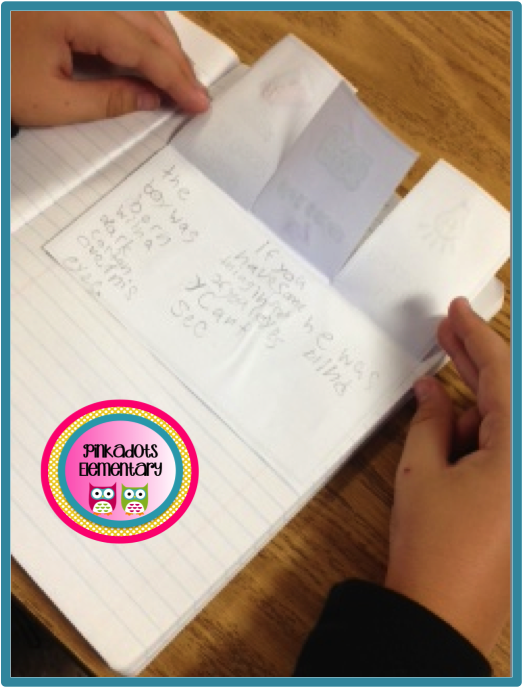 Thank you for sharing the foldable on inferring. I'm diving into interactive notebooks this year. 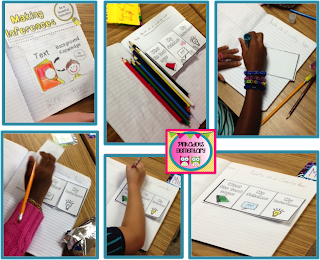 They are great way to engage students! 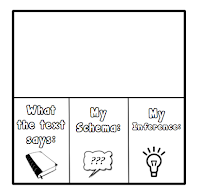 I am also going to be testing out foldables more this year and this is a great freebie!! Yours turned out wonderful! I can't wait to try it.